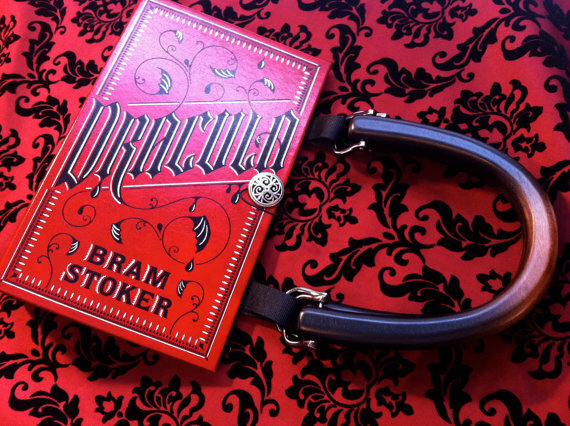 A few days ago, I went to a shindig* at my very favorite bookstore in San Francisco with this Dracula pocketbook in hand. I'm not gonna lie, kids. 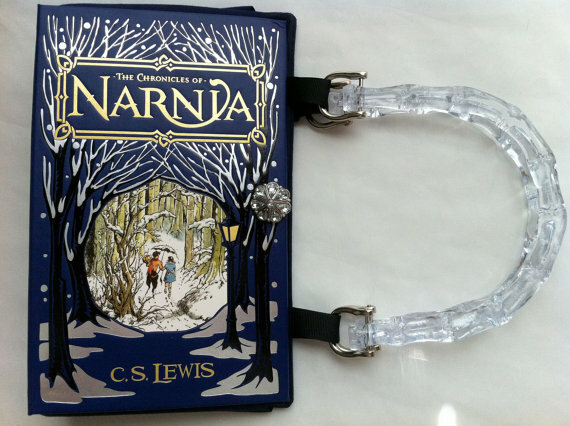 I had been waiting to debut this purse at the Apocalypse Bookswap for weeks because I just knew the reaction it would receive and, boy, was I right. People loved it. One friend jokingly tried to steal it as part of the swap. Lucky for her and you, it isn't a one of a kind. Better yet, there are so many more amazing options to choose from. *"Well, a gathering is brie, mellow song stylings; shindig: dip, less mellow song stylings, perhaps a large amount of malt beverage; and hootenanny, well, it's chock full of hoot, just a little bit of nanny." 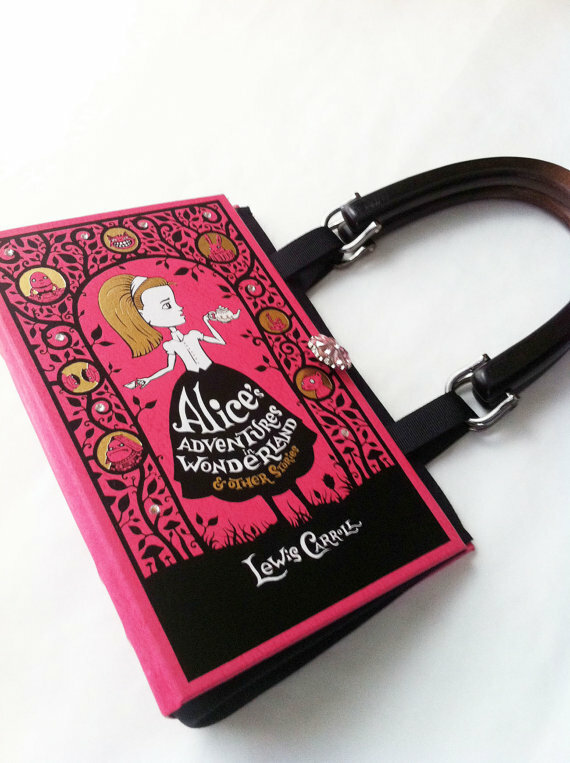 Karen at Novel Creations makes incredible handbags using the books in the Barnes & Noble Leatherbound Classic Series. 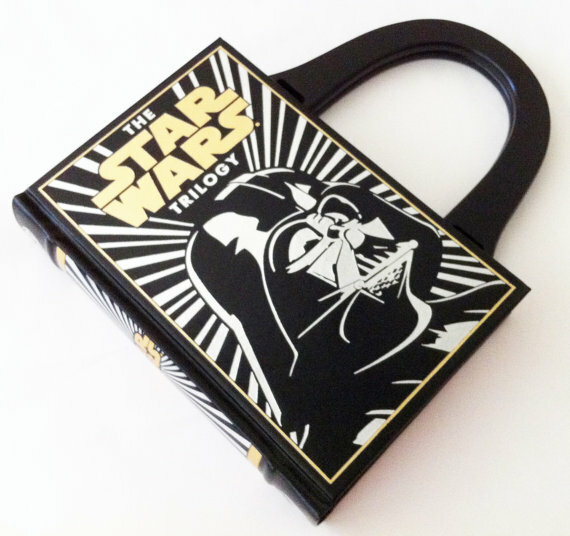 The bags are incredibly well made and look great in person. 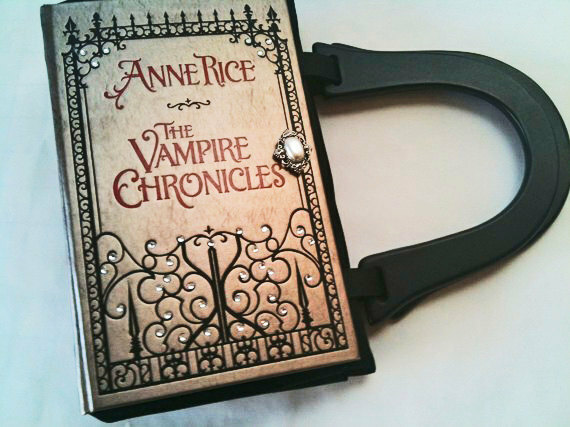 A number of Etsy sellers make pocketbooks from the series but none look as good nor are as reasonably priced as Karen's. (Almost all of her bags are under $50 while others charge more than twice that!) Here are a few of my favorites.